‘How to write a great blog post’ has always been a topic of discussion for bloggers and content writers. There are many questions and queries on your mind, when you start thinking about writing a blog post. In past I also faced same kind of queries before I start writing a blog post. Then I decided to do some research on how to write a great blog post that makes impact. And how professional bloggers write their content. Here I am sharing what I learn from my research and its findings. I used say that content is the king, when it comes to the success of your blog. If you can write simple, grammatically accurate content and you also use basic techniques of keyword research. It means that you are writing good blog posts or articles and you too will admit that it is not that much difficult. But writing a great blog post is certainly require some more homework and appropriate approach. There are few basic things, you should keep in your mind to create great content. 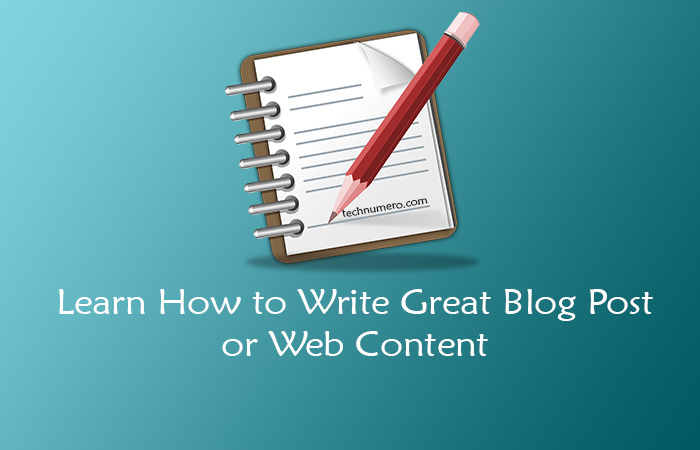 In order to write great content, you must know what makes a blog post or web content ‘Great’. Certainly definition of great content may vary but I am trying to outline basic and necessary elements of it for your ease. From visitors point of view: Informative, useful, interesting, easy to understand and motivational. From publishers’ point of view: SEO friendly, eye-catchy, more traffic attracting and good enough to engage your visitors. Clearly, if you want to write a great blog post. You must incorporate all above ingredients in your blog post. Then only your content will be said great in all aspects. The simple answer is ‘by picking up a topic’. But for your better understanding, I wanna discuss about few things which involve directly or otherwise in process of writing blog post or web content. Before start writing a blog post or article, you should understand your audience, whether existing or targeted. And level of competition for topics or keywords. I mean you must have a fair idea – for whom you are writing your blog post and what you are writing about. If you are writing about something which is not much popular on internet. Then certainly your content outreach will be limited in the beginning. But on the other hand, you will face less competition because your topic or keywords are not much popular on internet. In such cases when you write about uncommon topics, you may have opportunity to create your own niche or audience. But it might take some time. On the other side, if you write about topics which are already mushroomed on internet. Then you have to face huge competition but there is fair chance that you might get good number of visitors, of-course with right SEO (Search Engine Optimization). Because topic or keywords used in your article, are popular among large number of users or say searched by more users on internet. Understanding audience and competitiveness of topics or keywords, will help you to select topic and to create great and efficient content. In process of writing a blog post, choosing good topic, perhaps, is the most difficult task. It will remain difficult as long as you will not figure out your thrust area or say your favorite topics and until you do keyword research. Use following methods to choose a good topic. Articles for targeted audience – Blog posts or articles based on ‘targeted keywords’ of competitor or role model blog or website. Articles about existing topics, subjects – Blog posts based on existing topics, ideas, keywords without competitor’s keyword research. Articles about new ideas, subjects – Blog posts based on new ideas, thoughts, subjects, personal blog articles and news stories etc. This category certainly is most popular category among bloggers and content writers. Most of blog posts or web content is created to get attention and appreciation from their existing as well as new audience. And to increase the inflow of traffic on blog or website. Therefore, for you it is always beneficial and easy to write articles around keywords or topics which are already liked or searched by large number of users i.e. your competitor’s audience. To write blog posts or articles for keywords targeted audience you should proceed in following manner. 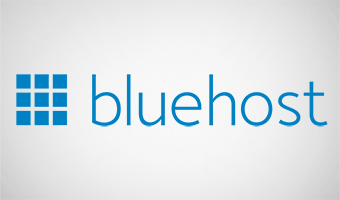 Step 1: First, you should identify your competitor blog(s) for your blog or website. You can also use other search engines (Bing, Yahoo, Baidu, Yandax etc) suggestions for keyword research. If you use some other tool for keyword research, do share in comment section below. Step 3: Don’t forget to make a handy list of targeted keywords or word phrases (highly paying or most searched keywords), you have got during your keyword research. I prefer to write my topics in a excel spreadsheet. When you write blog posts using keywords or topics which you have extracted from your competitors’ blog. Your content will not only be effective but also SEO friendly. Basically, I outlined this category for you, if you know about popular keywords or topics on internet. But you don’t bother to use those highly paying or most searched keywords in your articles exactly in original form of targeted keywords. That means, this category is for you, if you are not much interested in keyword research and wanna write your articles in yours own tone without much weightage of targeted keywords. This kind of article writing may lead you to become self-styled blogger. But I always recommend to do keyword research before writing a blog post or web content. And to include those keywords in your content. If you are writing about something which is not very much popular on web, like breaking news, new ideas, thoughts and topics, personal blog etc in that case, you may not be bother about keywords. But I suggest you to use popular keywords around your story. It will help your content for better SEO and outreach. Moreover, in such articles you have opportunity to become trend-setter and to create your own niche and audience. But certainly this is gonna take some time. Next step after selecting a topic is – to develop ideas and approach around the topic. Simply, you can develop ideas by going through information and good articles available on internet. Reading good articles will boost your confidence about that particular topic. By doing this you can easily analyze‘areas where is more scope to write about’. You can also go through comments to know about people’s reaction about that topic. And accordingly you can include people’s suggestions or answers for their queries, in your blog post to make your content ‘great’. When you actually start writing a blog post, very first thing you need is an editor application. Choose an editor software which suits you best. My favorites are Windows Live Write and MS Word. While writing draft post you should follow Basic Rules which I have mentioned below. You should always try to split your content in some parts, paragraphs and steps. And write every part, paragraph or step with a clear and complete message. Few days back I have written one blog post, indicating most important things which you should include in your writing to create web content that works. Read these rules here: Essential Rules to Develop Good Web Content. This is another crucial stage of writing great content. I always recommend to give yourself enough time between ‘Writing initial draft’ and ‘Final editing’. You should always finally edit your post after a day or two of its drafting. This approach will allow you to start with new energy and rhythm. So that you can easily point out where minor or major corrections are required in your article. And accordingly you can make those corrections. To create great content you should always include all ingredients which I mentioned in ‘# Defining Great Content’ in your blog post. Another advice to improve your writing skills is – reading good articles, blogs on internet. And keep learning new techniques for writing great content which will stand you out. 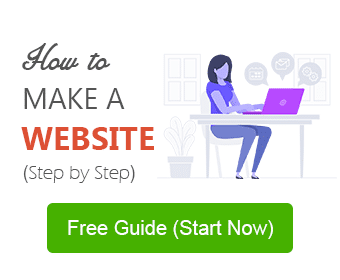 Hope you’ll find this article helpful to create great blog post or web content. You may also share your suggestions or advice to write a great blog post content and about this article in comment section below. These days, with so such of competition around, writing epic content is crucial. But it is sad to see, that most of the people are still not focusing on this most important factor. As far as I know, catchy headline with problem solving content, can reach huge audience very quickly and can attract good quality Backlinks. So, we really should focus on content. Glad that you find this post informative.